When you think about summer camp, it’s hard not to picture the hundreds of young people who come home with smiles on their faces. They return with more than they packed: confidence, independence and a greater understanding of the people around them. There is something special about the lessons learned and the friendships gained at camp. 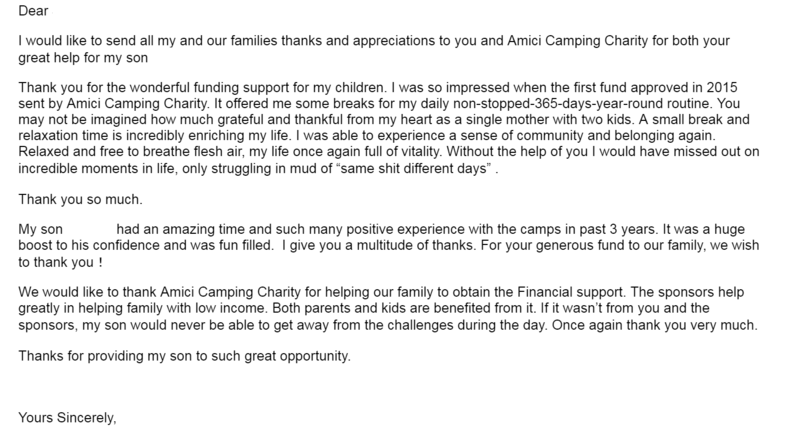 This is why Amici provides campers in financial need the chance to return to their camp every year. 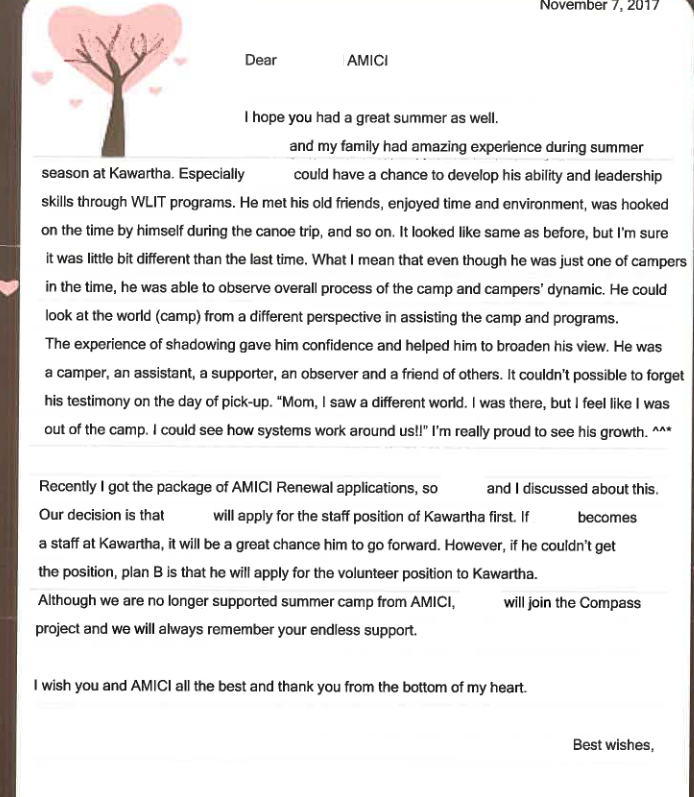 Below are just a few letters and stories from Amici campers and parents, demonstrating the impact of Amici's generous supporters. The world around us is changing. In just a few generations, the number of children who regularly play in the outdoors without supervision has drastically dropped. One quarter of young Canadians in grade 4 own their own cell phones and only about 7% of Canadian children get at least one hour of daily physical activity (Public Health Ontario). What’s more, with the increased automation of the job market, 21st century human interaction skills like resiliency, grit and communication are holding more weight than ever before. For decades, the tradition of summer camp has nurtured these skills, exposed children to physical activity in nature and increased their independence through unplugged, relationship-building activities. 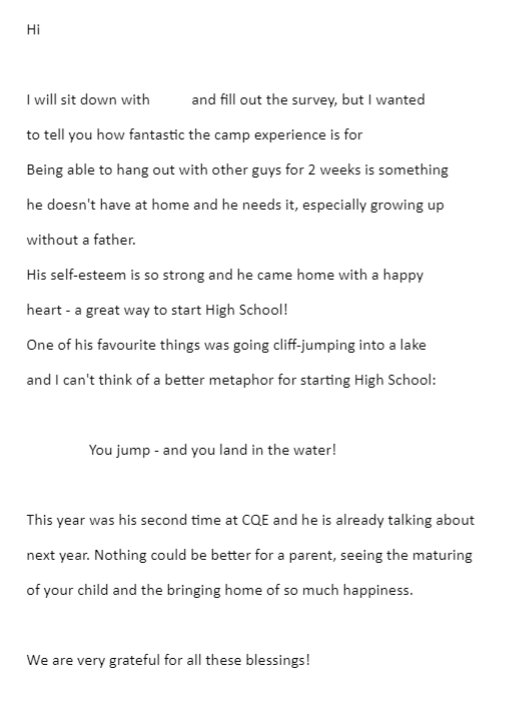 These are just a few reasons why we see camp as a significant vehicle for building leaders. 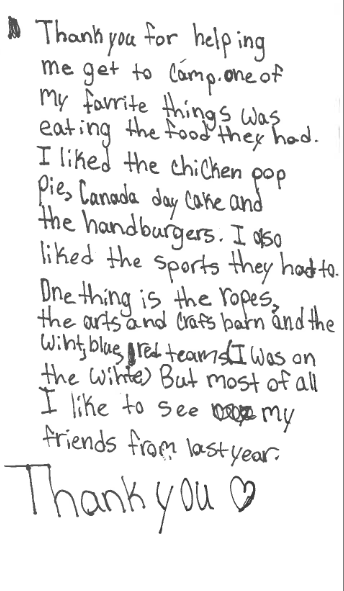 But don’t just take our word for it; hear it from the young leaders in our program! 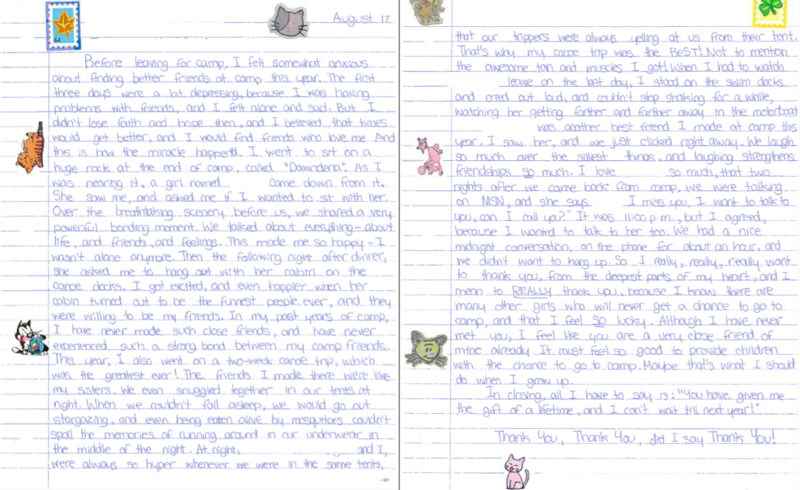 100% of Amici campers felt camp helped them learn how to do more for themselves. 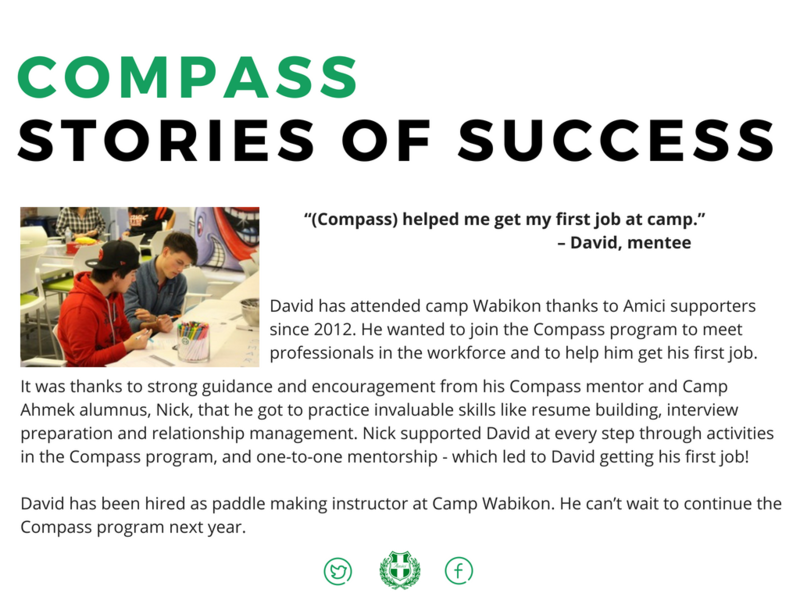 95% of Amici campers learned how to work better in a group setting. 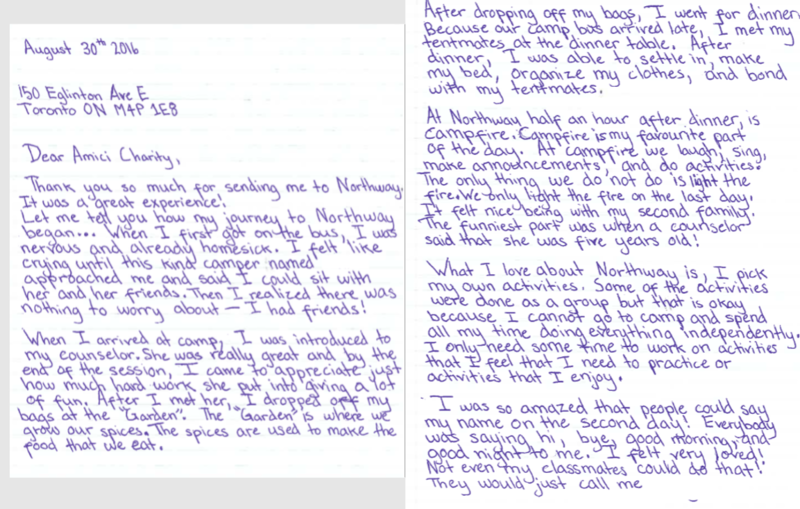 93% felt that camp was a place where they belonged. 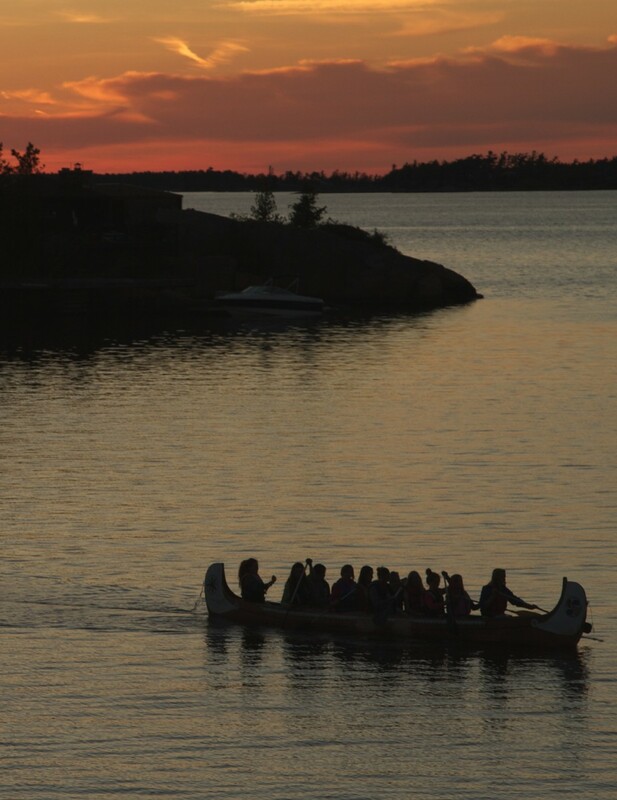 92% of Amici campers felt more connected to the natural environment because of camp. 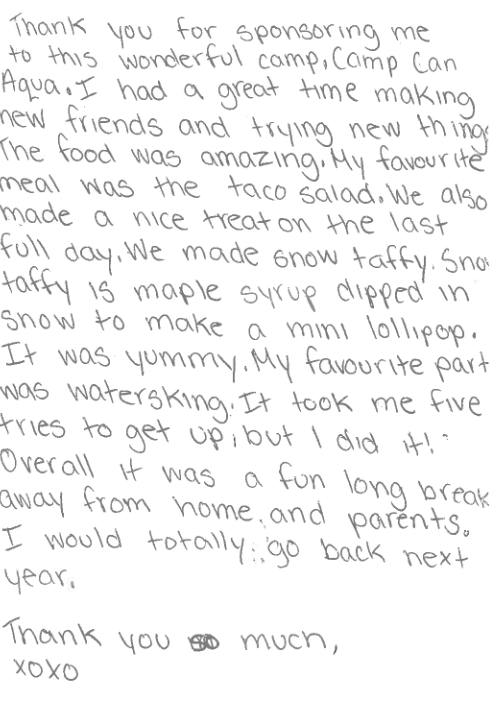 91% of Amici campers said they became better at doing recreation activities. 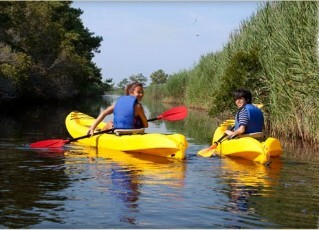 90% of Amici campers said their comfort in nature increased. When camp becomes a stable touchstone in a young person’s life, it ensures they have reliable access to role models, lifelong friends and activities that sharpen their leadership potential. 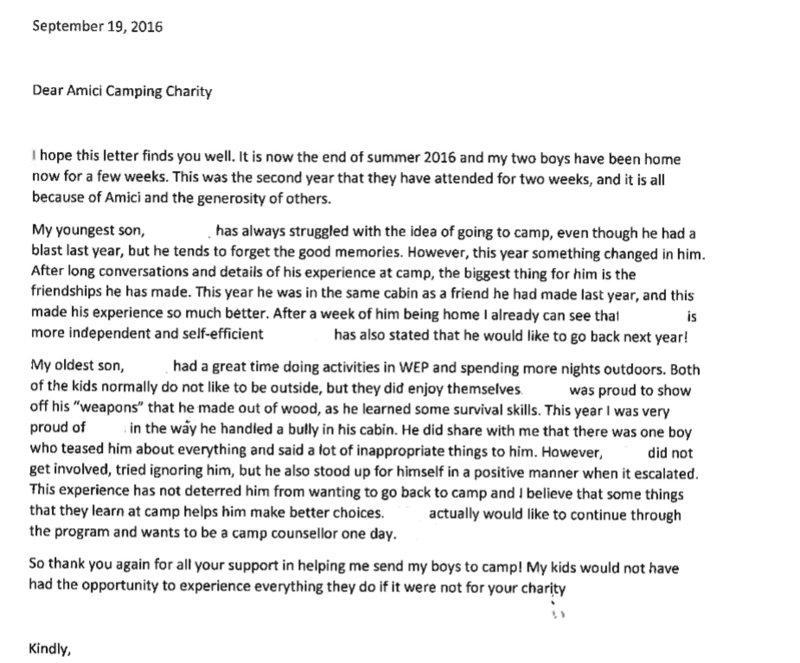 Since 1966, we have provided more than 2,700 summer camp experiences to young people facing financial barriers. 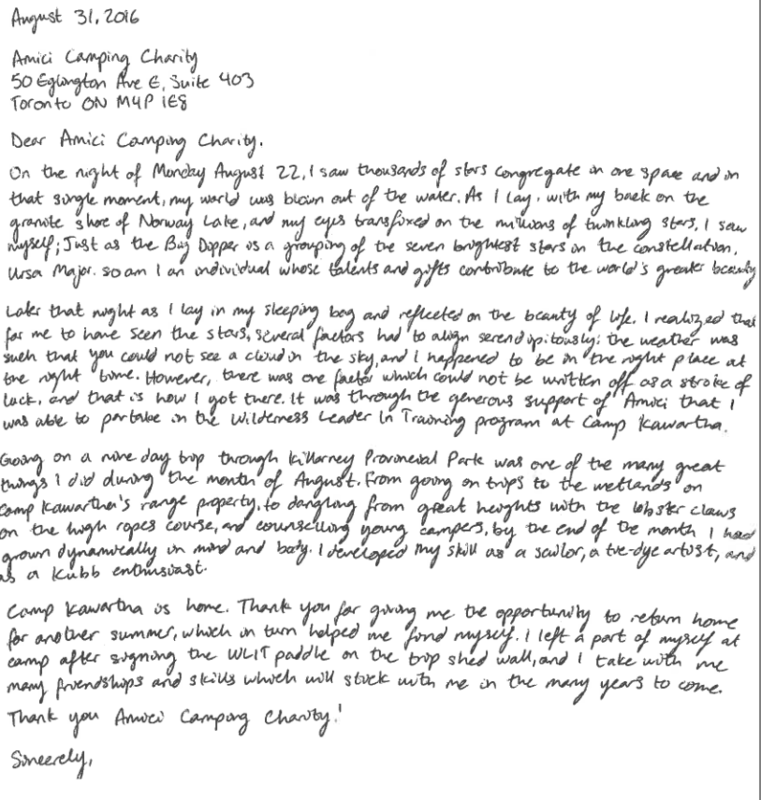 We are honored to have been part of the camping journey for so many young people over the years.